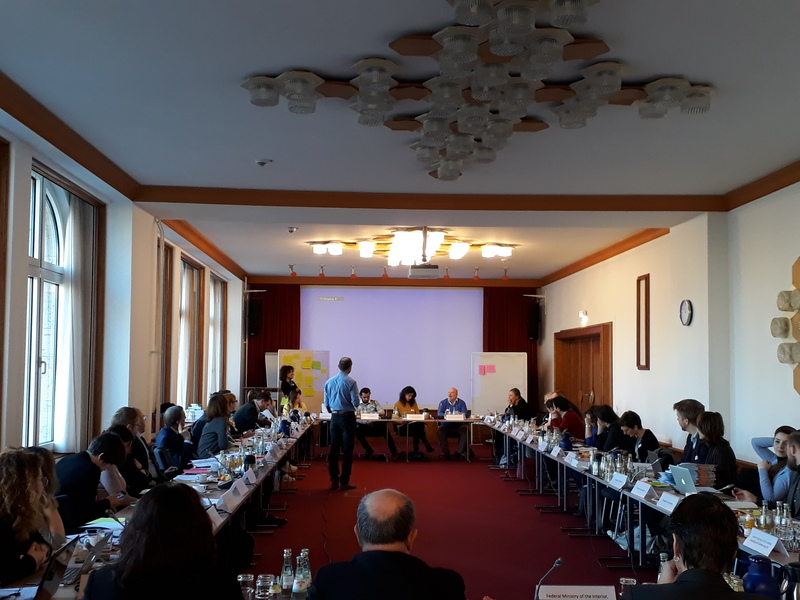 On 21-22 February 2019, the kick-off meeting of the Partnership for Culture/Cultural Heritage took place in Berlin, Germany. On the first day, the meeting was opened by the two Coordinators, Germany (Federal Ministry of the Interior, Building and Community) and Italy (Italian Agency for the Territorial Cohesion, jointly with the Italian Ministry of Cultural Heritage, Cultural Activities and Tourism). Nicolaas Beets, Dutch Special Envoy, provided the participants with background information on the initiative of the Urban Agenda for the EU, the Pact of Amsterdam as well as an overview of existing Urban Agenda Partnerships. Laura Hagemann-Arellano from the European Commission Directorate-General for Regional and Urban Policies (DG REGIO) presented the state of play of the Urban Agenda Partnerships and explained the supporting role of the Commission. Participants were then invited to join smaller groups rounds with the purpose of getting to know each other. Afterwards, participants could join a guided tour of the James Simon Gallery, before being invited to dinner. On the second day, the Coordinators presented the background note they drafted and circulated to the Partnership members prior to the meeting. The note outlines the role of cultural heritage as a resource for urban development whilst presenting its social, ecological and economic dimensions. The Coordinators also reminded participants about the principles of the working methods of the Partnership and they identifies several topics of interest for the Partnership. Partnership members were then given the opportunity to introduce themselves, present the rationale for joining the Partnership and outline any specific areas of interest. During two parallel discussion rounds, members began exchanging views on key economic, social, environmental and governance challenges. The next Partnership meeting will take place during the second week of April in Brussels. More information on this Partnership will become available as the Partnership work unfolds. In the meantime, please consult the full list of members here.